The news hit this morning, and seems to be getting a lot of buzz. So I should link to this, right? Yeah, I probably should. And look, I just did! Galactic Rangers. Sigurd. Galaxy Green. Tiger 21. The Ninth Men. And lots, lots more. This is going to be a lot of fun. Click here to see that picture nice and big. 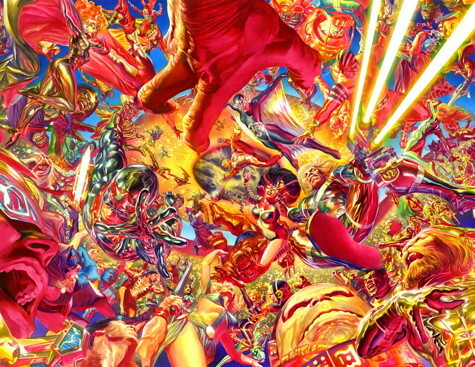 This entry was posted in Articles, Stories and tagged alex ross, kirby: genesis by Kurt Busiek. Bookmark the permalink.